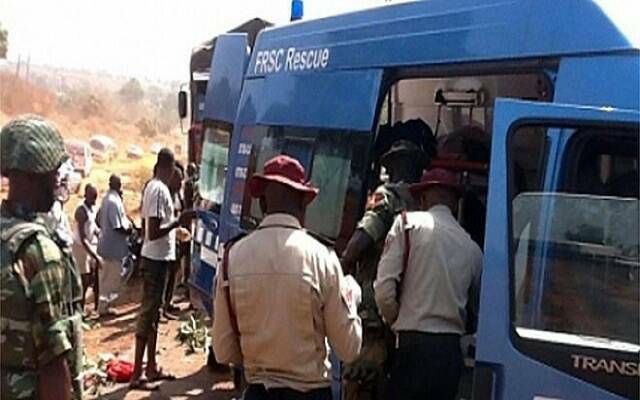 Two individuals have been confirmed dead after two Toyota vehicles crashed onto each other in Ogun state. According to reports, the accident happened on Monday evening at Olodo area, on Abeokuta/Ibadan Expressway in Ogun State. The Public Relations Officer, Traffic Compliance and Enforcement Agency in Ogun, Mr. Babatunde Akinbiyi, confirming the accident said a Toyota Corolla Salon car with license no KSF 846 EF crashed into a Toyota Picnic bus RLG 61 AA while trying to overtake the Toyota picnic. The two vehicles had three passengers on board respectively. However the drivers of both vehicles died from the crash while the other passengers were rushed to Omo Arewa Clinic in Odeda, except one female in critical condition was rushed to the Federal Medical Centre, Idi-Aba, Abeokuta. He said; “The accident involved a Toyota Corolla car with registration number KSF 846 EF and a Toyota picnic bus with registration number RLG 61 AA. “The driver of the Toyota Corolla car tried to overtake the Toyota Picnic space bus which resulted in collision that led to the crash.